Here’s an overview of natively supported PCI-e (64-bit) network interface controllers (NIC) for OS X. I’ve had the chance to test some of them in my current Hackintosh build. The HP NC360T dual port PCI-e network adapter works out of the box in OS X. However, since OS X 10.8.2 Apple changed something in the driver resulting in a link loss whenever the network is under considerable load. If this happens, the network can be brought back to life by deactivating/reactivating the network in OS X’s control panel. Do not buy this network card if you intend to use it in a recent OS X version. 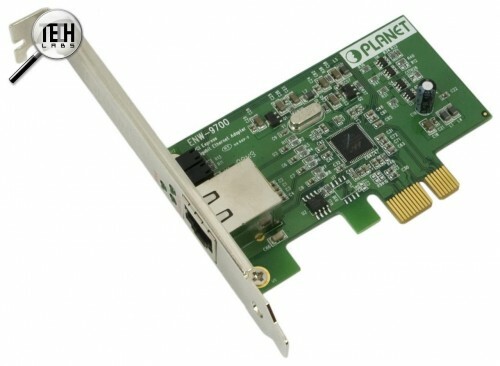 The Planet ENW-9700 PCI-e network adapter is based on the Marvell Yukon 88E8052 NIC which is supported natively in OS X using Apple’s AppleYukon2.kext. Unfortunately, the PCI-e adapter only initialises during a cold boot. The native OS X driver seems to have a problem to recognise the card after a warm boot (restart). Also does not reliably wake after sleep. Not recommended for OS X! 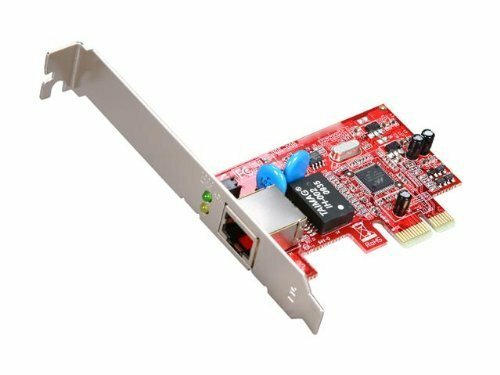 Based on the Marvell Yukon 88E8053 NIC this PCI-e network adapter is supported natively in OS X. I couldn’t get my hands on it as it seems to be sold out at Newegg and Amazon. According to some forum reports, the card should work fine in OS X. YMMW. 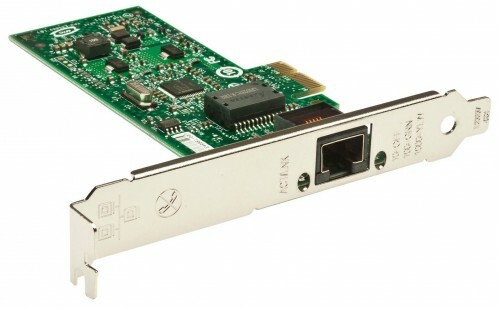 This PCI-e network adapter is based on the Intel 82574L Gigabit Ethernet Controller which is natively supported in OS X. However, Apple limited the driver to certain PCI vendor and device IDs so you need to inject the IDs of the Intel Gigabit CT Desktop network adapter into Apple’s Intel82574L.kext using an injector kext (kernel extension). Since injectors do not have to be signed, there shouldn’t be a problem to use this adapter in OS X 10.10 Yosemite. You can download the required kext for the Intel Gigabit CT Desktop adapter here. I’m currently using this PCI-e adapter in my recent Hackintosh build running OS X 10.9 Mavericks. No known problems. Recommended. 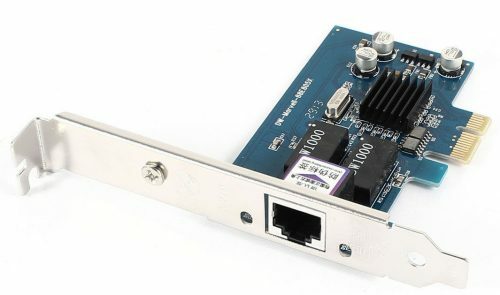 This $14 noname PCI-e network card from eBay is based on the Marvell Yukon 88E8050 NIC which is supported natively in OS X. It’s still on its way from Hongkong, I’ll update the post once I receive it. Thank you so much for the injector kext! I have been struggling with my 82574L for so long; now I am enjoying my working ethernet without extra kexts (running 10.11 with Clover). So happy! Thank you for your write-up and best of luck to you :) Bye! Wow thanks for this very simple and detail page about PCI ethernet. That kind of informations is long to find on Tonymac. I’ve purchased a Rosewill RC-401-EX. But it doesn’t work on Sierra. Bassically it seem like it’s missing something to fully work ? It worked under 10.8, that’s for sure. Yep tried this, did not work. I’ve return the card to buy the Intel Gigabyte CT Desktop, hoping to solve all my network problem once for all. I’ll still say that the Rosewill RC 401 should be consider also for older OSx like the HP NC360T PCI-Express PRO/1000. I did the same thing ! Return the Rosewill for the Gigabyte CT. Unfortunately the Intel Gigabyte did not work on my serie 100 mobo. This is a very frustrating issue becuz this card has a driver that need to be loaded before the bios, it’s for computer that load OS from network. I don’t understand why theses cards ship with this preboot driver ? Bassically I need to go into bios to put the intel CT after my os drive. But becuz the order is changed I cannot go into bios anymore when the Intel CT is plugged. I did some test on older OS and older motherboard and this PCI card really work like a champ. Right out of the box ! I won’t consider this a good solution for recent motherboard and Sierra. Sonnet makes expansion cards for the Mac Pro. I currently have this NIC installed and working flawlessly for the past year. 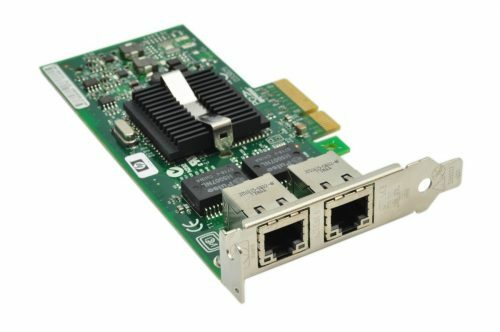 Have you received the “Noname Marvell-based PCI-e adapter from eBay”? How does the card perform? This is a China-made procduct, i want to know how’s it doing. Too bad, but thanks for the heads up! I ordered a CT Desktop Intel NIC (82754), which should be OS X native, but I’ve been unable to install it so far. This NIC has its own BIOS which start after the motherboard BIOS and requires CSM enabled in mobo’s BIOS options. Which is incompatible with CLOVER in UEFI partition, as my machine has. Eventually at last I was able to boot but the Clover boot 1st page is not in Full HD as usual but in VGA and then, when the machine boots and gets to the login and the video sync is messed up and I cannot see anything readable on my monitor . Tried both DVI and HDMI, always the same. Tried with graphics option : 1920*1080 in Clover options, but nothing. Did you even bother to read my post? This adapter doesn’t work OOTB. However, using the right modifications, it runs fine with Clover in UEFI mode. @Ken + @scalhoun: The card has been lying on my desk for quite a while. I haven’t installed it yet since I could not find any tech data about it, anywhere. The IDs of some microchips were grinded off. I’m hesitating to install it because of this, I don’t wanna fry a PCI-e slot on my board. The empty LED holes in the slot cover don’t help as well. THIS POST HAS GIVEN ME WIRED INTERNET FOR THE FIRST TIME IN TWO YEARS!!!!! My Hackintosh was struck by lightning in 2012 and fried the ethernet port and I haven’t been able to find one a working card. I’d never seen the Intel one recommended til now. Just got it in, and it worked on the first try. The noname ebay card from Hongkong arrvied yet? Did you ever get that Noname Marvell installed? Thomas, it depends on the bootloader you’re using. I’m using Clover, so the kext injector goes to /EFI/CLOVER/kexts/10.9. If you’re using Chameleon/Chimera, you may have to look in /Extra/Extensions for a place to put it. You could also use KextBeast to install it to /S/L/E. KextBeast is available on TonymacX86. How so? How am I going to work with that Injector?